Iran has summoned the Pakistani ambassador to express its strong protest over the recent deadly terrorist attack in the southeastern Iranian province of Sistan and Baluchestan. 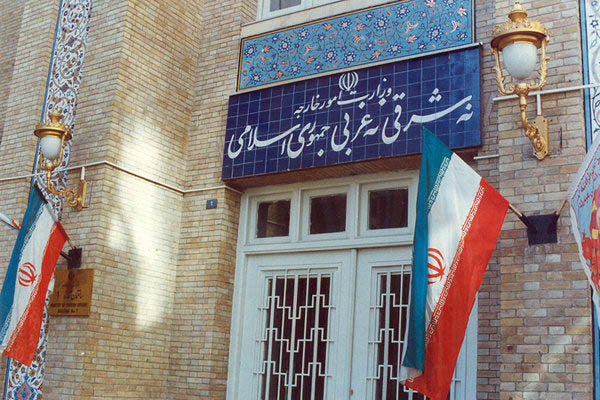 Foreign Ministry Spokesman Bahram Qassemi said the Islamic Republic conveyed its strong protest to the Pakistani diplomat during the meeting. In a Sunday statement, Qassemi said following the Wednesday terrorist attack (Feb. 13) in Zahedan-Khash road in Sistan and Baluchestan, Pakistan’s ambassador to Iran Riffat Masood was summoned by the director general of the Iranian Foreign Ministry’s Western Asia Department. During the meeting, the Iranian diplomat referred to the growing number of terrorist attacks designed in and led from Pakistan including the latest terrorist attack in Zahedan-Khash road, and conveyed Iran’s protest, Qassemi said. Iran also called on the Pakistani government to adopt immediate and appropriate measures to identify and arrest the terrorists behind the deadly attack in Zahedan-Khash road, Qassemi added. For her part, the Pakistani envoy announced that she would convey Iran’s protest to her respective government in Pakistan. A bus carrying members of the Islamic Revolution Guards Corps (IRGC) was travelling between the cities of Zahedan and Khash when it was targeted in a suicide car bomb attack. 27 were killed and 13 others injured in the attack.